Steve Feierabend is a native of San Diego, California, where he grew up playing the clarinet, and then in high school he took up the saxophone. In 1983, he graduated with honors from Berklee College of Music in Boston, having studied with Joe Viola, Joe Allard, Jerry Bergonzi, Herb Pomeroy, and others. In 1996, Steve earned his Masters Degree in Jazz Performance at Rutgers University in New Jersey, where he studied, taught, and performed with Kenny Barron, Ralph Bowen, Ted Dunbar and Akira Tana. Steve has performed internationally at festivals, clubs and concerts with such artists as Mel Torme, Steve Allen, Charles McPherson, Pete Christlieb, Brian Lynch, Kei Akagi, Hal Crook, Joe Diorio, Bill Cunliff, Holly Hoffman, Mike Wofford, Ron Eschete, Rob Schneiderman, Peter Sprague, Jack Costanzo, Bobby Caldwell, Frankie Lane, The Temptations and The Four Tops, to name just a few. Steve served as leader of his own group, Common Ground, whose CD Manhattan Fantasy was released in 1990. It was voted "CD of the year" by the Portland jazz society and received national recognition and review. 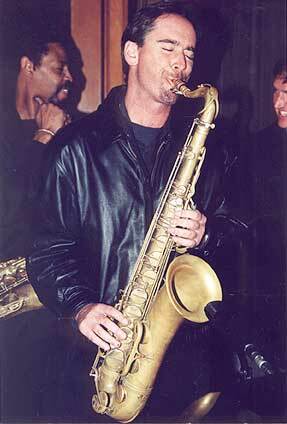 Steve's second CD, Revolving Doors, was released in June of 2000 on Webster's Jazz Classics Label. It features eight of Steve's original compositions performed in quartet and quintet settings, with special guest Peter Sprague on guitar. Bop Mambo, Steve's third CD, is the culmination of 15 years of participation in the vibrant Southern California Latin jazz and Salsa scenes. The music is creative, modern jazz blended with mambo, cha-cha, bolero and Afro-Cuban 6/8 rhythms. 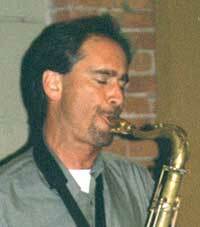 In 2002, Steve moved to the San Francisco Bay area and has become active in the local jazz and salsa music scenes. Steve's most recent CD, Converging Paths, features Bay Area musicians Akira Tana, John Wiitala, Randy Porter, and special guests Eric Jekabson and Gene Burkert. This CD marks a return to Steve's straight ahead jazz composition style and includes arrangements of standard jazz classics as well.